Wadi Hammamat is the northern direct route to the Bekhen stone quarries and the Red Sea. No rock-art has been found eastwards of the quarries. 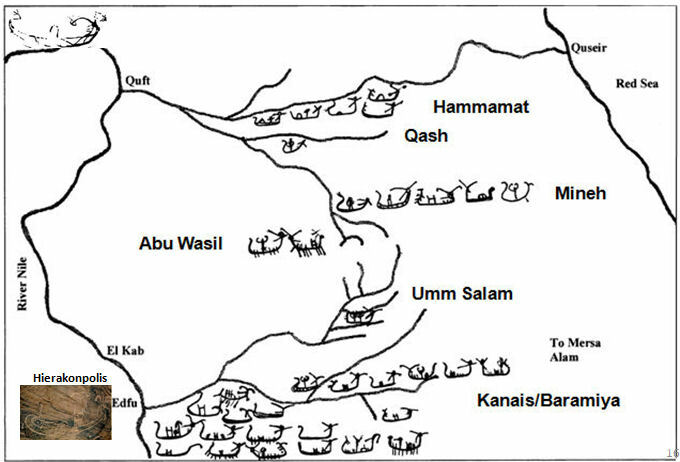 Although it has 18 sites (16 in the wadi and two just east of the quarry), 9 of them are clustered in or around the entrance to a side wadi, Wadi Abu Kue. Wadi Hammamat has a high proportion of pharaonic images, boats and inscriptions. 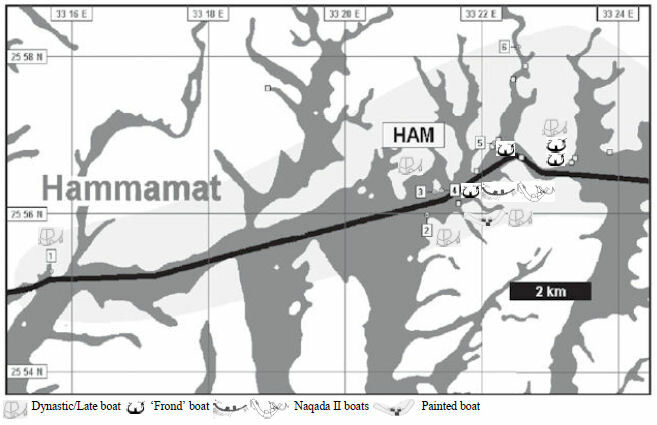 It also has ’frond’ boats from the early predynastic and several sickle boats akin to those on D-Ware, including the only painted image in the CED and two with ’standards’ (the only other example of the latter is in Wadi Qash at RME-18).